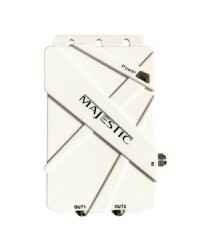 Majestic UFO X TV Antenna Junction Box. This is the splitter box that fits both the Majestic UFO and Majestic UFO X. 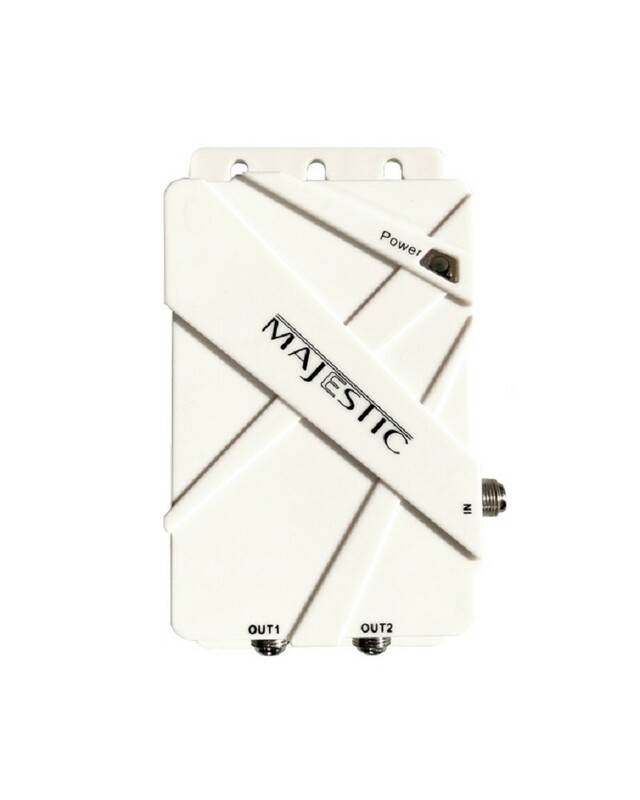 The Majestic UFO X TV Antenna Junction Box comes standard with the Majestic UFO X Antenna. It has 12 Volt Input socket (power cable not supplied). One Output which connects to the UFO X TV Antenna. Two Outputs which connect to TV or FM Stereo system. The Junction Box has a Green LED Light to indicate there is power coming to the Junction Box.